I remember being blown away by the sight and sound of Moffat’s glorious ex-works machine upon its Australian debut during the Sandown Tasman meeting five months before. No doubt the echo of the 415 bhp quad-cam, Ford Cosworth V6 as it bounced off the Hume Weir quarry and its surrounds at 8500 rpm was awesome. 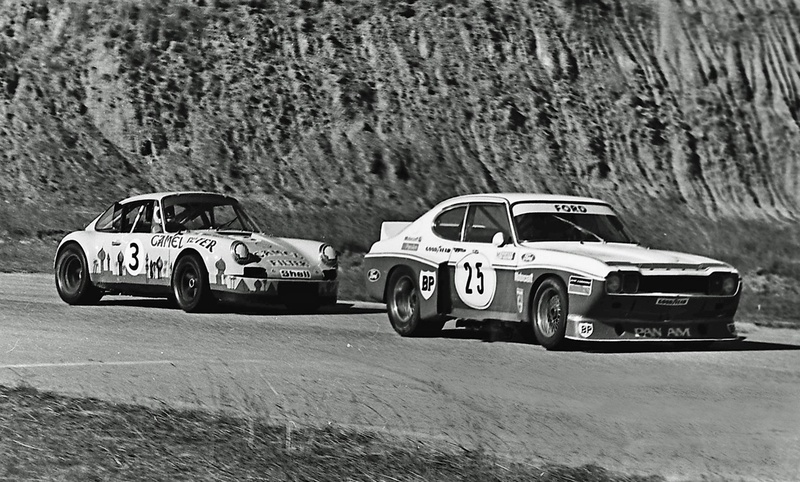 Whilst his former, iconic Kar-Kraft built Trans-Am Mustang was very competitive from its first races here in 1969, the Capri (which raced in the Sports Sedan class rather than Improved Touring as the Mustang first did- whilst noting the Mustang’s Sports Sedan period later on) faced a much more competitive grid with cars which had far more power and torque. 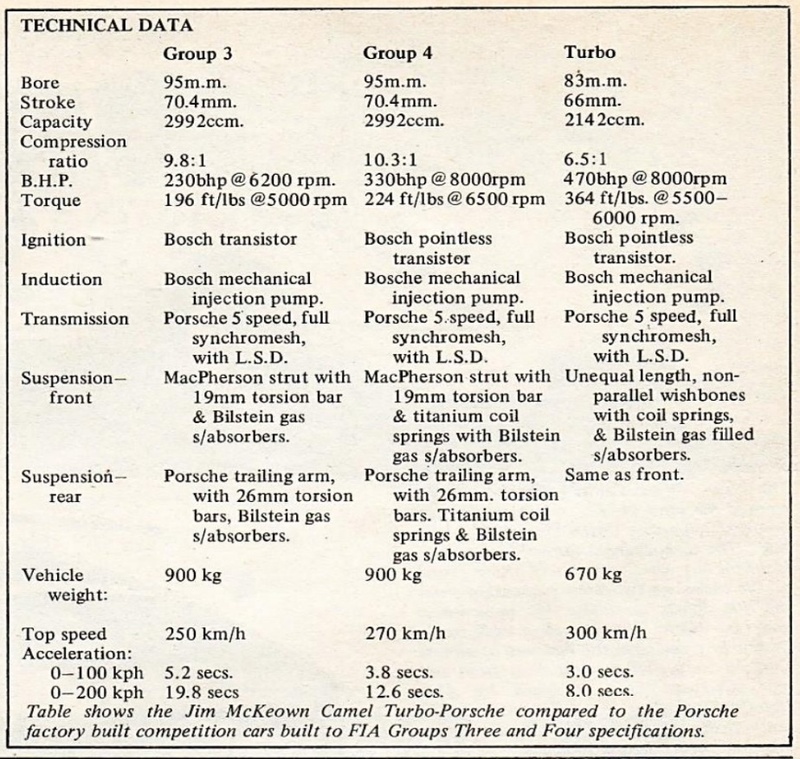 The Capri had 280 pounds/foot of torque @ 7000 rpm, a lot of Australia’s circuits have lowish average speeds so bottom end mumbo from slower speeds is important- think of Calder and Oran Park not Hockenheim and Monza. 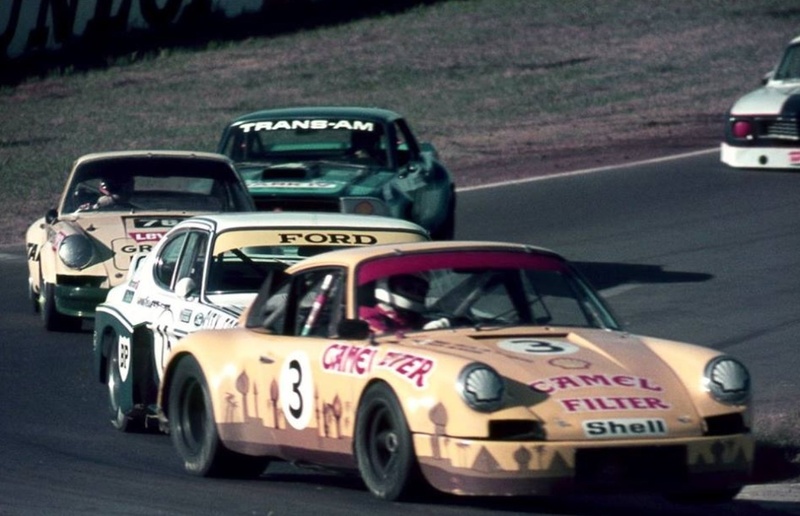 By 1975 the group of next-gen ‘Clever Sports Sedans’ had arrived- the mid-engined John McCormack Valiant Charger Repco-Holden, Bryan Thomson VW Chev V8 ‘Volksrolet’, McKeown’s Porsche Cars Australia owned 911 as well as Pete Geoghegan’s Holden Monaro GTS350 with Frank Gardner’s Tom Nailard concepted Chev Corvair V8 ‘category-rooter’ not too far round the corner. 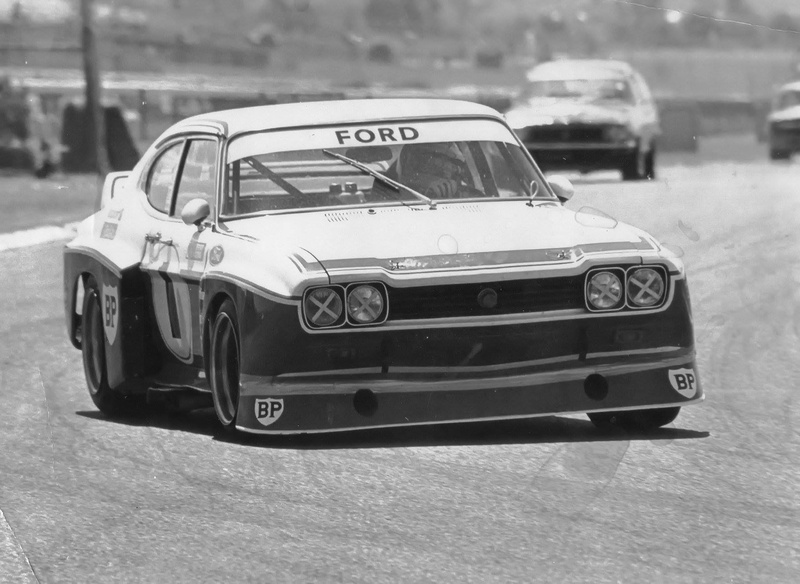 Not to forget Moffat’s Chevy Monza which temporarily replaced the Capri in early 1976 until Ford ‘cracked the shits’ with Allan, and the Capri again took centre stage when a deal was inked to take Ford and Moffat forward for the next couple of years. 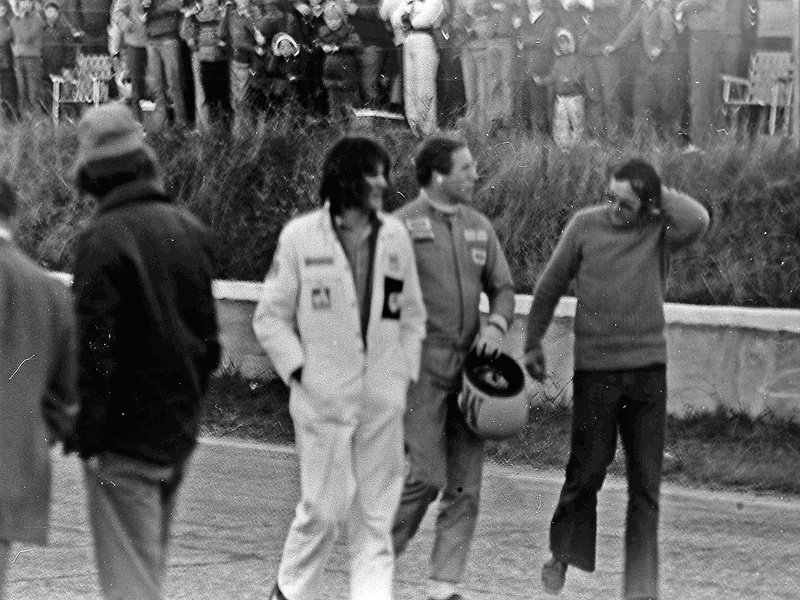 Moffat swore never to return to Hume Weir after an aggrieved non-Ford fan threw a long-neck Fosters bottle at the star breaking the Capri’s windscreen and soiling the Canadian’s under-garments as a consequence, during his post-win parade lap. Understandably pissed off, Moffat stopped his Capri and climbed up onto the fence to identify the mongrel concerned, who was by that stage beating a hasty retreat. 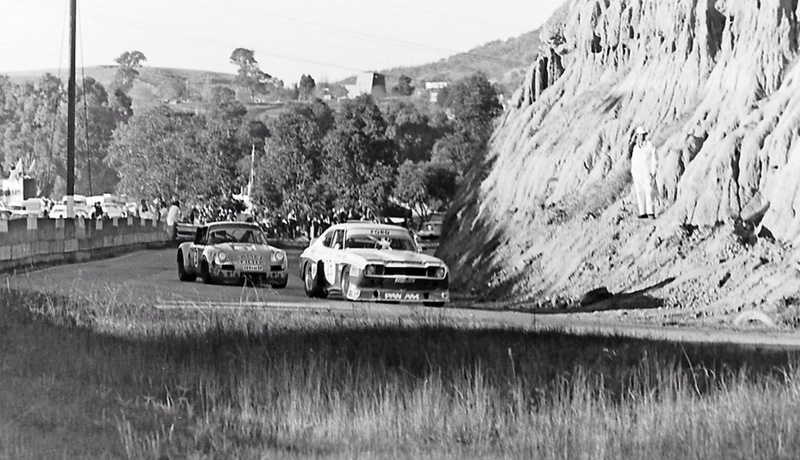 A favourite Touring Car for me, this photograph above is of Moffat upon the cars Oz debut during the Sandown Tasman meeting in February 1975, hooking into Shell Corner. What about Jim McKeown’s Porsche though, I’d forgotten about that clever machine? 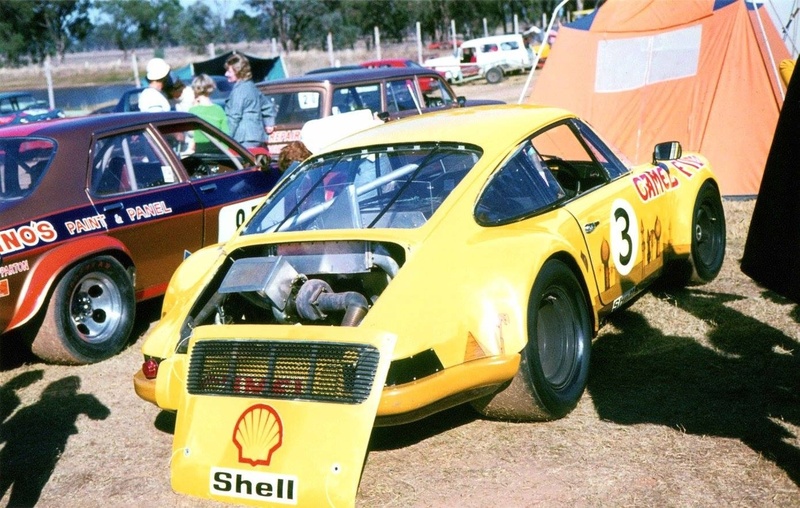 Was Alan Hamilton and his team in Melbourne the first to build a mid-engined 911? Dunno- but I am intrigued to find out. 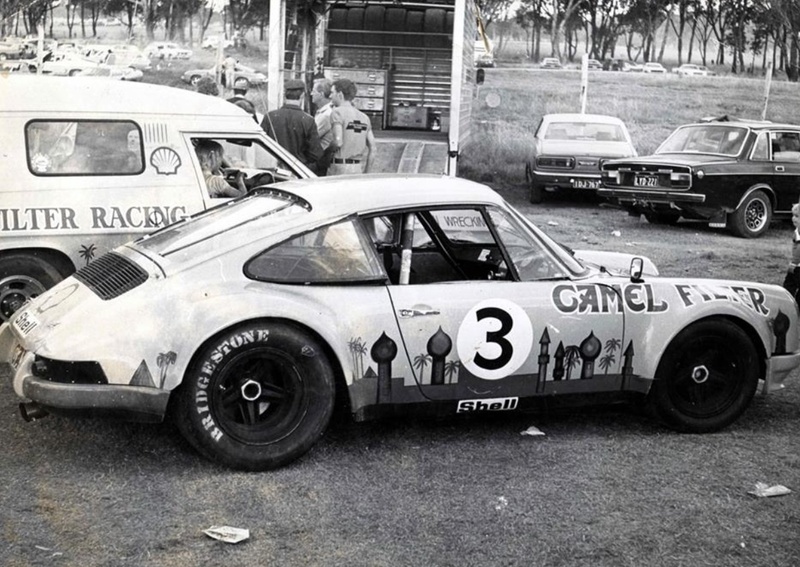 With the growth of interest in Sports Sedans (in essence an almost anything goes sedan class) in the early seventies the Porsche racer/importer wanted his marque at the front of the grids. 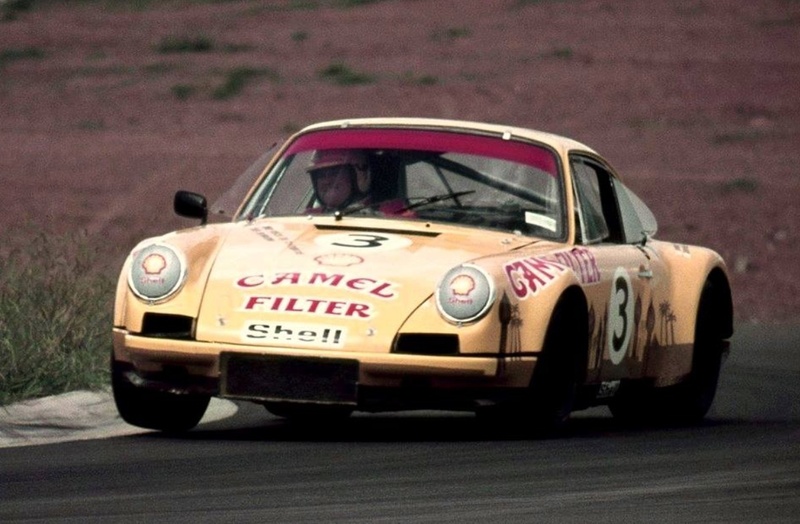 He therefore concepted a clever mix of light weight, mid-engined location of the engine- a 2.1 litre Group 4, 470bhp turbo-charged, SOHC flat-six and ‘racing car’ type suspension, said car to be driven by Jim McKeown. 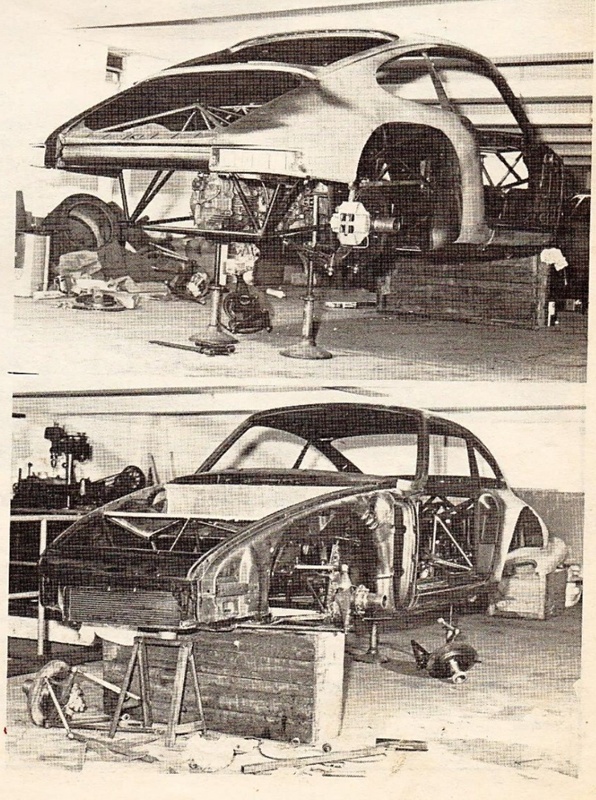 Hamilton drew simple spaceframe or subframe structures front and rear to pick up the engine and suspension componentry from the 908 (1969-1971 and beyond sports-racer) parts bin. 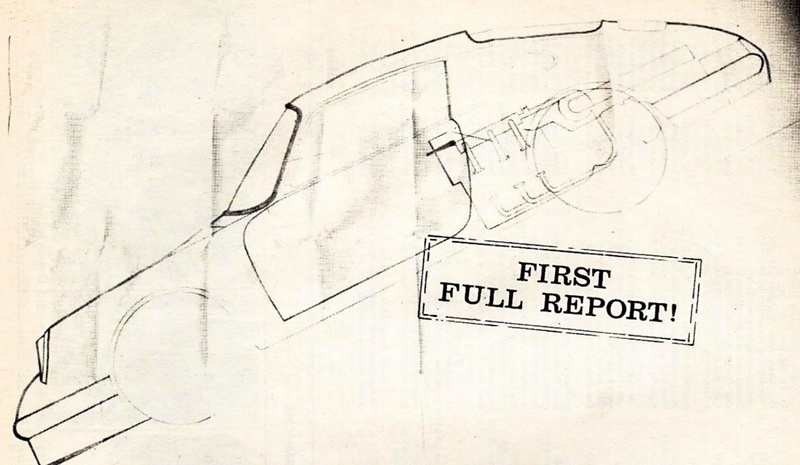 By mounting the engine in front of the rear axle the car would have better weight distribution than the standard 911 layout and therefore better handling. All up weight was about 1500 pounds. The top photo shows the spidery frame to support the engine, transaxle and suspension. Brakes are ventilated ATE, 11 inches in diameter both front and rear operated by dual master cylinders with a balance bar mechanism incorporated. The gearbox is of course a Porsche unit with ZF slippery diff. The keen eyed will note the upper and lower wishbone front suspension rather than the standard McPherson struts, lightweight 908 upright and hubs clear. Unequal length wishbones were also used at the rear, with coil springs and Bilstein shocks at both ends. The February 1975 Chequered Flag article about the car notes that ‘CAMS have already announced that the Porsches will be eligible only for Production Sportscar racing in 1976 while March this year will see the production of the first road going turbo-charged Porsches in Europe’- remember what a mind-snapper the first ‘930 Turbos’ were to look at on our roads, even if the driving experience left a little to be desired? 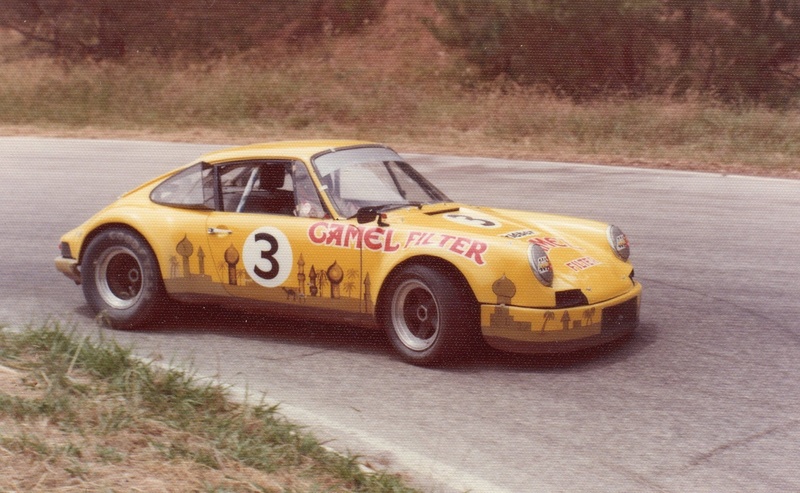 CF note the FIA Group 4 version (what became the 934) will be built in 1976. 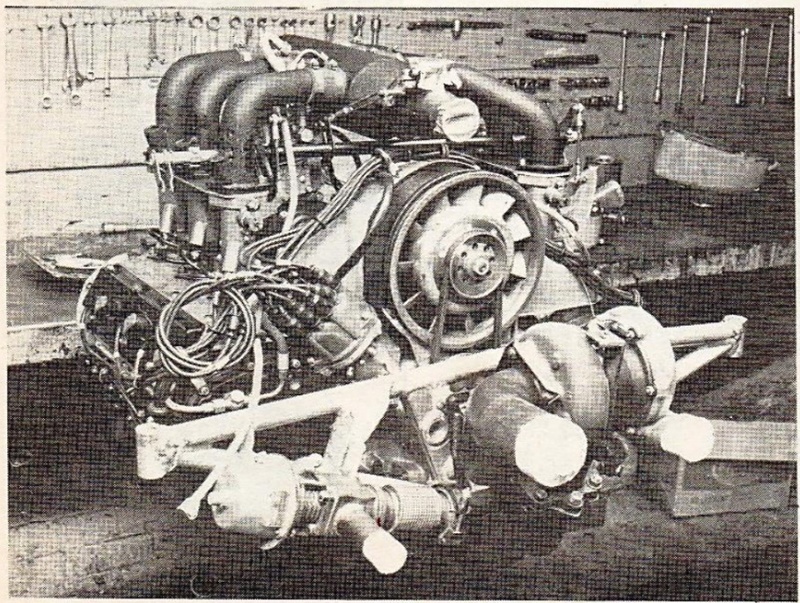 Hamilton explained the foibles of driving turbos at the time ‘…driving a turbo-charged car requires more skill than for a normal engined car because when lifting your foot on deceleration there is a time delay of approximately one second before the engine starts to reduce speed. Similarly, on acceleration one second elapses from when you press the accelerator pedal to the time of the increased engine speed. Naturally this type of driving will take a bit of getting used to, and it is planned to test the car extensively before it appears in its proposed first race at Sandown on Febraury 23rd’- the Sandown Tasman meeting at which Moffat’s Capri took its first bow. Engine shot in the PCA workshop, with specifications as per the ‘Turbo’in the chart below- in essence SOHC, two valve, twin plug turbo-charged flat-six 2142cc engine producing circa 470bhp @ 8000 rpm and 364 ft/lbs of torque at 5500rpm. Note the turbo-charger (KKK? ), wastegate and pop-off valve and frame to mount the engine into the cars chassis. Whatever became of this particular Porker?